1. Rinse and dry the tomatoes and cut in half, vertically, and remove the stem part. Cut each half into wedges of 6 or 8 depending on tomato size. If wedges are too large, cut each in half. 2. 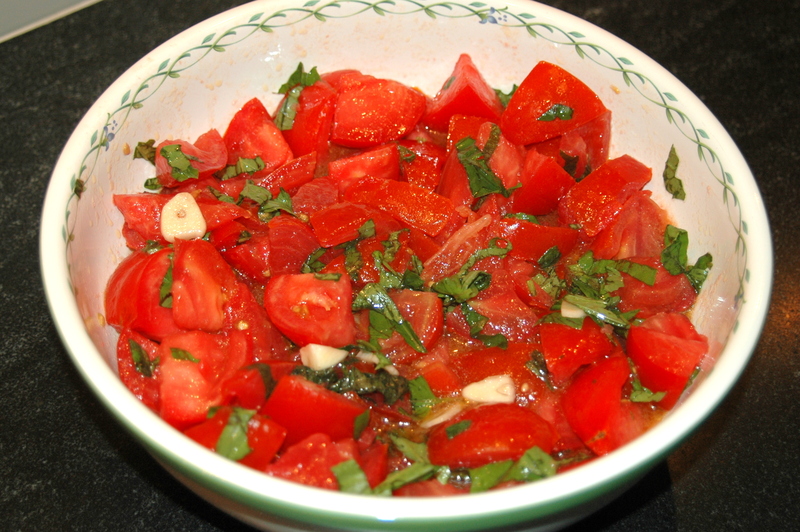 Place the cut-up tomatoes in a large mixing bowl; add the olive oil and mix well to coat each piece. 3. Add the salt and mix well again (this helps the tomatoes give up their juice). 4. Add the garlic and mix. 5. Shred the basil by hand, and mix it into the salad. 6. Add the water and mix again. 7. Let sit at room temperature for 1 to 2 hours, stir occasionally to combine the flavors. 8. 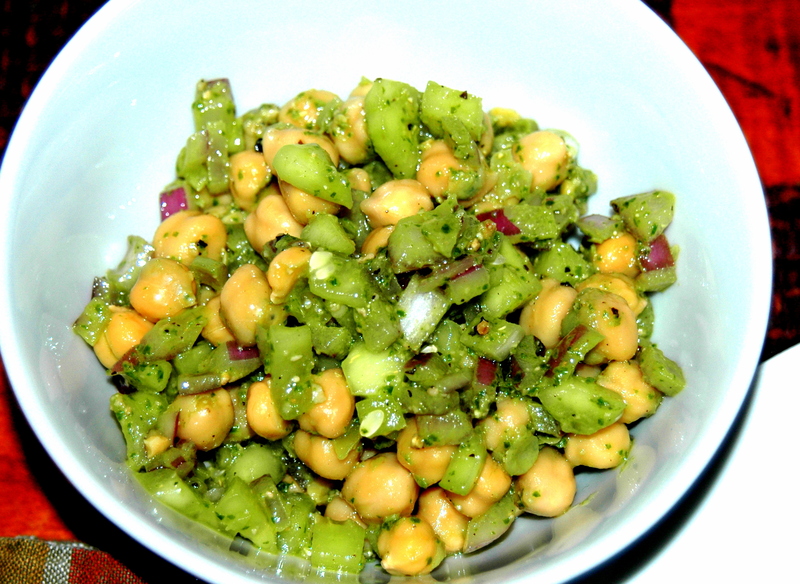 Serve with crusty Italian bread to sop up the juice after the tomatoes are eaten.